Funds raised through Relay For Life will support life-saving cancer research. We're here to help you with your fundraising. We ask that you and every member of your team aim to raise at least £200 towards life-saving research. Bring together 8-15 family, friends or colleagues. Team Captains must be over 18, but anyone can join your team once registered. Already know a Team Captain? No matter how old you are, you can join their team and together you can watch your fundraising total grow! Anyone who has ever lived with cancer is invited to join as a Survivor, and to bring someone along who has supported them through illness. Relay For Life is a team fundraising challenge bringing communities together to beat cancer. Teams of family and friends fundraise for life-saving cancer research, then join other teams and survivors to celebrate their fundraising in an overnight event, taking turns to walk around a track. 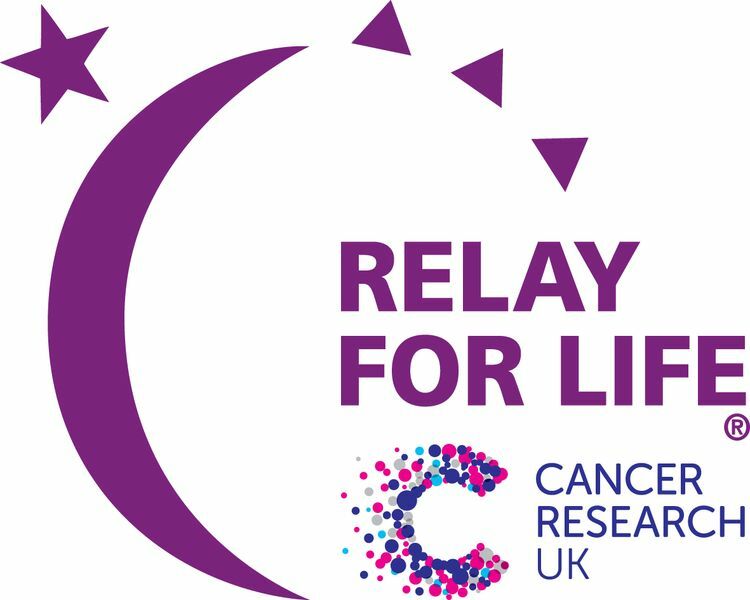 There are Relay For Life events taking place across the UK. Entry is free. 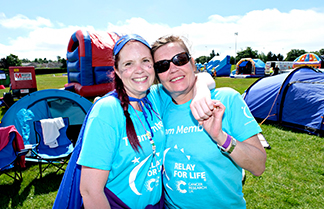 You can join your local Relay by starting a team, joining a team or by taking part as a survivor. Take part in Relay For Life and together we will beat cancer. 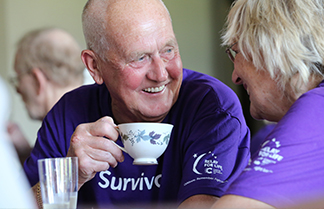 Teams, survivors, carers and volunteers come together to take part in an overnight Relay For Life event to celebrate their fundraising achievements. Organised by a dedicated volunteer committee, this community celebration is filled with family fun. 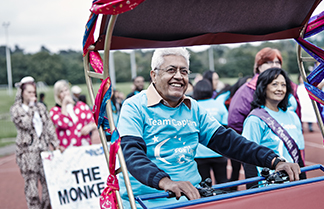 Cancer never sleeps, so neither do we as teams set up camp and take turns to walk round the track for the duration of the event. Our VIP guests are our cancer survivors. Each Relay For Life event begins with their Lap of Honour. A Candle of Hope Ceremony sees the darkness lit up in memory of those we’ve lost and in celebration of those still here. The sharing of information about Cancer Research UK’s ground-breaking science in cancer prevention gives us real hope for the future. Music, games and fun from local partners get us moving. A celebratory closing ceremony celebrates our achievements and inspires us all to continue the fight. Team up with family, friends and colleagues then join Relay For Life to raise money to beat cancer. Anybody can join in, regardless of age or fitness level. Relays are fun for all the family and everyone is welcome! Bring together 8-15 family, friends or colleagues. Why not get the kids involved too? Set a team goal and lead your team to fundraising success. Team Captains must be over 18, but anyone can join your team once registered. Know someone who's starting a team? Join and get them off to a great start. Encourage others to do the same! Anyone who has ever lived with cancer is invited to join Relay For Life. Survivors lead the festivities by taking part in the Lap of Honour. You’re welcome to bring someone who has supported you through your illness to join the celebrations too. This venue is suitable for wheelchair users. No, sadly we can't allow dogs at this venue. However, some of our other Relay venues do allow dogs. Contact us to find out more. The nearest station is Yate. Please check public transport before you travel. Can I buy food and drinks on the day? Yes, you can. You are also welcome to bring along any food and drinks that you might like with you. We will Relay on! Please come prepared for wet and cold weather. A tent, sleeping bag, any food and drinks that you might like, your Relay t-shirt, a chair, sun cream, an umbrella (just in case! ), warm clothes, spare socks and shoes and any materials that you need for your fundraising stall (e.g. a gazebo and trestle table). 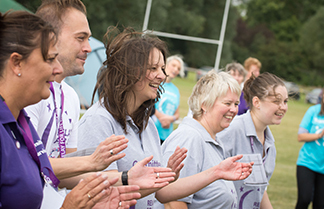 Relay For Life raised £2.7 million in 2018. Every penny goes towards our pioneering work to beat cancer. Take a look at the research that the money you raise will help to fund. I love Relay For Life. I get such a buzz from seeing my whole community coming together as one to help in the fight against cancer. Seeing more and more people wearing the purple survivor t shirt year on year is just amazing! Relay For Life is the celebration of many months of fundraising and a chance to unite your friends and family with one common goal - to beat cancer.